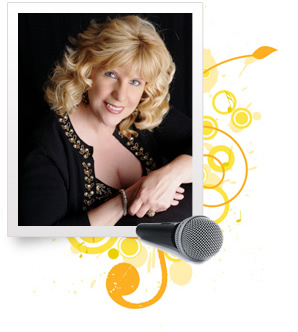 CONNIE MARSHALL is a well-known vocalist throughout the Chicago area. A diverse entertainer for more than a decade, she is a top favorite of many devotees of great music. To experience her magnetic voice and sparkling personality is to experience something altogether new, altogether wonderful. Her faultless delivery captivates the spotlight. Connie’s talent, which transcends several media, is, in a word, illimitable. Her versatility packages together an extremely wide range of musical styles—Big Band, Jazz, Blues, Pop, Country, Broadway, Latin and many others—into a first-of-its-kind and unforgettable performance. Her craft is borne from, what Gershwin would call, “improvisation”—manufacturing satin notes into a brand-new sound.